I recently met David Barberis online and found out he has a fantastic and far-reaching ministry. He is a Godly man whose main desire is to further the Kingdom of God. He sent me the following information on his ministry. Please look it over and go check out his page. Perhaps there's something that can help you or someone you know! Redemption, loosely translated means delivered from the afflictions that have enveloped us, when it comes to the subject of domestic violence, those afflicted should know that help is available, they are not alone. 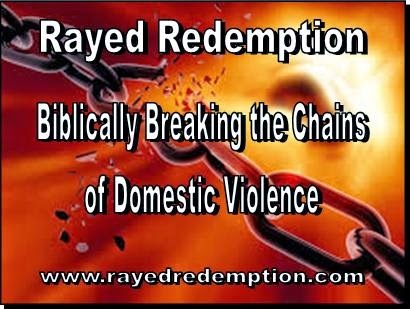 Rayed Redemption, a Texas non-profit organization and Federal 501(c)3 registered agency has incorporated the domestic violence ministry to promote the well-being of those afflicted by the presence of domestic violence and sexual assault in their lives and the prevention of both in our society. All of Rayed Redemption's services are developed and adapted from Biblical principles and teachings. The organization will hold a kickoff program to introduce its presence in the very near future. At this kickoff program we will welcome visitors, pass out informational brochures and feature speakers that will inform the public about our programs. Visitors will be treated to a performance by a major Christian artist. Rayed Redemption's main focus is to provide relationship workshops and offer supportive education and resources for those who find themselves in unhealthy situations. Overall, the general community does not have enough information about Biblically centered domestic violence and assault counseling and outreach, and when it comes to recognition and prevention, the information gap is widened. Rayed Redemption’s goal is to fill that gap. “Rayed Redemption's mission is guided by the Bible, following established programs from Overcomer’s and Celebrate Recovery. While we at Rayed Redemption are devoted to working primarily with those afflicted, we understand the need for recognition, prevention and healing, and will not turn away anyone, for domestic violence knows no barriers, afflicted are men, women, rich, poor, educated or not, and of course domestic violence has no color line. Assistance will be available to all cultures. Rayed Redemption has no home base as of yet, but we faithfully pray and know that we will have a permanent space sometime in the fall at a location either in Plano, or Frisco, Texas with locations coming in 2015 in Los Angeles and Miami, as donations allow us. Until that time we will travel to civic organizations, faith-based organizations, and businesses to offer workshops that can be tailored to meet the needs of specific groups. We need to openly discuss domestic violence. Domestic violence is not a private issue, we do not have to keep it quiet, we need to make people aware and let them know that it is OK to speak up. We will help those afflicted and affected by domestic violence see that there are alternatives, and we will provide them with the resources to resolve their situation, safely. 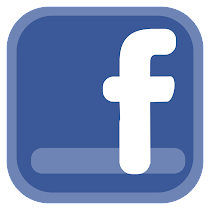 As for spreading our message, we will not compete with any other groups, organizations, or social agencies, we all share the same goal of delivering information to all segments of the population. We strive to partner with other social agencies to better serve the community. And, welcome -- to David Barberis and Rayed Redemption. Thanks so much for sharing about this ministry ... may it indeed be a blessing to many !!! .... Woops ... and 'morning to you to Debbie' ! Sounds like a wonderful organization - love that their services are biblically based!! Thanks for the info!! This is SO needed - victims of domestic violence need God in their lives, many are searching for love in their lives through others without realizing their need for God, the love He gives that surpasses any other, and the peace, joy, comfort, and hope He can give them. I was a victim of domestic violence for a number of years, if I had been following God's plan for my life - I would never have gotten myself in that situation. Years later - after leaving this lifestyle, I was a 2nd shift manager of a women's and children's abuse center. It was gratifying to see the changes in the children after being there a few days, feeling loved, and realizing they were safe and no longer needed to feel the fear of being abused. Unfortunately - this kind of life is the only one many of these women knew - fear of being alone, not being able to provide for themselves and their children, shame, guilt, and not feeling there were alternatives, sent them right back to their abuser. There was a psychological attachment and need for the abusers that needed to be broken by the women, also - it would have been wonderful to have had counselors who offered biblically based help. Love, prayers, and hugs - MaryLu!! Have a joyful and blessed weekend!! 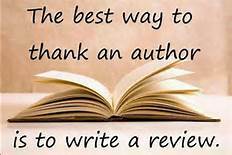 Thank you Debbie, Brenda and Bonnie and a very big thank you to you Marylu for even considering placing this on the website. The Biblically based ministry is because of first and foremost the redemption that we all share and second there is a void in our world and the only way that void can be filled is through His Word. In Luke 9:13-14 Jesus said, “You give them something to eat” Impossible! Thought the disciples, but Jesus told them “Make them sit down in groups of fifty.” The disciples thought this was impossible yet Jesus told them explicitly “You give them something to eat.” We should not focus our attention on what we don’t have knowing that God would not ask of us to do something that He and us couldn’t handle. And together we will Biblically work on the eradication of domestic violence, when needed claiming for His Kingdom one soul at a time. God works through us to accomplish impossible tasks. He often shapes us with personality characteristics, experiences, and training that prepares us for his purpose, and usually we have no idea what God has in store for us. Remember He prepared and positioned Nehemiah to accomplish one of the Bible’s impossible tasks. We may not have Nehemiah’s abilities or feel that we are in a position where we can do anything for God. There are two ways that we can become useful to Him. First we could be people who talk to God, welcoming him into our thoughts and sharing ourselves with him, our concerns, feeling, and dreams. Second we can be people who walk with Him, putting what we have learned from his Word into action. He may just have an impossible mission he wants to do through us.